Time was 6.35pm, October 19, 2017, at Ojodu-Berger pedestrian bridge, one of the projects of the Akinwunmi Ambode administration in Lagos State. The pedestrian bridge, at the time it was commissioned in May this year, improved the aesthetics of the area as the congestion and chaos common in the vicinity largely reduced owing to the free movement of humans across the bridge unlike in the past. Added to the beauty of the bridge, and the adjoining lay byes and bus park that came with it were the new electric poles that, at night, illuminate the area. The newly installed lights and electric poles at the bridge were in keeping with the state government’s promise to light up Lagos at night as part of efforts to improve security and commercial activities in the state. The project kicked off in December 2015 and was commissioned in April 2016 by Ambode. It has continued ever since and funds for its sustenance were voted and approved in this year’s budget. But in less than two years, challenges are synonymous with Ambode’s light up project as many of the street lights across the state are not functioning well. For instance, that October 19, between 6:35 pm to 7:04 pm, the lights on the Ojodu-Berger pedestrian bridge malfunctioned three times – coming off and on. For a project that was launched with fanfare eight months earlier, the malfunctioning witnessed at the Ojodu-Berger pedestrian bridge may come as a surprise to some people but the failures that night was not an isolated case as many familiar with the area since its commissioning know. On December 15, last week, it happened again as the lights suddenly went off at night. The lights could go off without notice at any time and get restored anytime! The occasional blackout also extends to Ogunnusi Road linking the pedestrian bridge and many other streets across Lagos State, where the lights are supposed to work uninterruptedly from night until morning. TELL’s investigations show that, at night, in many parts of Lagos, electric poles in major roads across the state, at times, fail to glow, and where they work, there’s no guarantee they could function seamlessly till the following morning. In some cases, electric poles within the same area, don’t function at the same time. On September 28, 2017, by 7.20pm at GTB junction, Ogunnusi Road, a few minutes walk from the Federal Road Safety Commission’s headquarters in Ojodu, when the electric poles in the area ought to be on, they were off. But those installed within the Lagos State Works Corporation’s office and the pedestrian bridge, close by were working. Heading towards Ogba that night, the reporter discovered that the stretch of road from the GTB junction to Excellence Hotel, Ogba, was dark, save for the light from moving vehicles that illuminated the road. But it was a somewhat different story at Yaya Abatan Street overlooking the Excellence hotel as some, not all of the streetlights, were working. By 7.30pm, the reporter decided to return to Ogunnusi Road, and even before getting to the junction linking Omole Phase 1, he noticed that the lights were back. But it didn’t extend to the Federal Road Safety Commission or GTB area, instead, it terminated just before the Grammer School bus stop. Two days later, an assessment of the same route reveals the same situation. By 7:15 pm, Ogunnusi Road from the GTB junction was dark. But the Lagos State Public Works Corporation’s axis was lit. Proceeding to Ogba, the lights were on from Omole Phase 1 beyond the Nigerian Institute of Journalism, NIJ campus. Abatan too, save for the faulty or unlit ones, were lit. However, as in Abatan, some of the poles, within the area illuminated, had one, instead of two functioning bulbs. As the reporter made his way back to Ojodu-Berger that night, he counted no less than 83 bulbs without light. The fact that some of the electric poles had one, instead of two bulbs functioning, showed they were apparently dead. On October 3, a drive at night from Agidingbi road to Ojota via Kudirat Abiola Road revealed that some electric polls were not functioning, while a couple others had one, instead of two bulbs working. 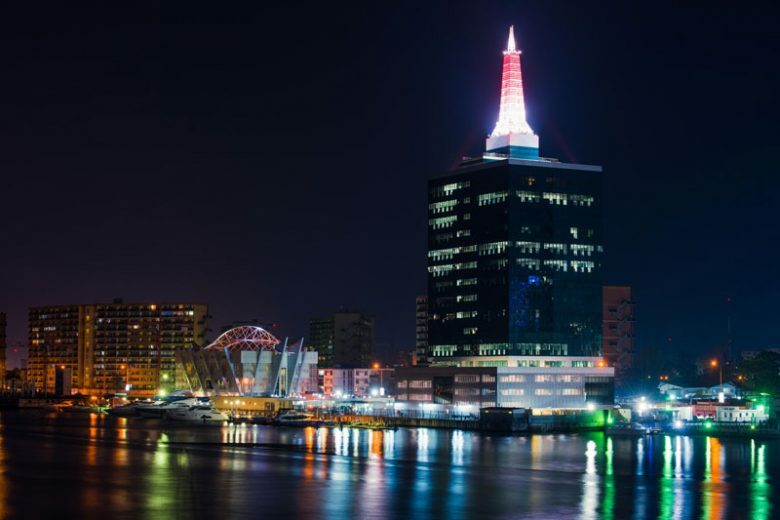 Some of the poles without light on the night included those by the fence of the Lagos State television overlooking Coca-Cola premises. On Ojota junction connecting Ikorodu Road and Ogudu, for the many bright lights on the night of October 3, at least five polls had one or two bulbs not working. A motorcycle ride from Ikorodu Road junction to the opposite end of Ogudu linking Third Mainland Bridge showed that 53 electric polls either had one or two bulbs dead or not functioning. The situation on Third Mainland bridge isn’t different as driving through there to Victoria Island on dawn of September 21 revealed that many poles were without light. On October 8, by 6. 35 pm, a bus ride from Ojodu Berger to Alaba International market, via Gbagada-Oshodi, a journey that lasted more than one hour, was mostly done in the dark save for lights of speeding vehicles that provided occasional glitter. Only in Agboju, Mazamaza, First Gate was there streetlight. The rest was darkness. More than 200 electric poles, from the Alausa Expressway to Gbagada interchange had one or two bulbs either dead or not functioning that night. Returning an hour and half later from Alaba, the streetlights at Agboju, First Gate, Mazamaza, had disappeared and everywhere was dark except at Cele bus stop and Oshodi-Isolo link way connecting the Murtala Mohammed International airport where electric poles illuminated the overhead bridge. Arriving Oshodi overhead bridge by 9.20pm, the reporter found that the lights were back. Fourteen days later, on October 22, a ride through Toyin Street to Allen Avenue, Aromire Street to Acme and Wempco roads leading to Ogba, at night, revealed a number of dead lights. Another assessment of Oshodi expressway leading to Mile 2 on the night of December 4 was not unlike the one of October 8. Everywhere was dark but for lights of speeding vehicles. From Mile 2 to Costain, it was the same scenario as the expressway connecting Alafia and Orile down to Costain was dark that night. Victor, who works at Cele bus stop area of Oshodi expressway, told the magazine that the road had been without light for many years. A commercial bus driver who plies the Mile 2 – Lagos Island route, also said that the area has not had light for as long as he could remember. “There’s no electricity in this road at night. It’s only in Mazamaza area that street light is available,” he said, adding however that a test run of street lights was carried out some two months ago on the Mile 2 – Lagos Island road but that nothing has been seen. Though Costain roundabout had most electric poles working on December 4, a number of the bulbs were not functioning. And while the Costain-Ikorodu expressway was largely lit that same night, a number of electric poles failed to glow. In some parts of Ebute Metta like Apapa Road, a motorcyclist told the magazine that the lights on the street extinguished about four months ago. Along Kano Road linking Oyingbo, some of the poles are of no consequence as they fail to brighten up the area. At the National Stadium, Surulere area, the lights weren’t on the night the reporter passed through there to Akerele Street leading to Lawanson. Arriving Lawanson from a street terminating on Itire Road, was like a run on a dark alley as the streetlights weren’t functioning. A ride from there to Ojuelegba overhead bridge revealed the same thing: unlit poles. A motorcyclist told the magazine, in reply to a question, that the lights had been off for over two months. At Ojuelegba, another cyclist said that the electric poles along the road leading to Yaba had not been functioning for some time. On December 12, an electric pole opposite MKO Abiola Garden, an estate in Alausa close to Lagos State Government House, was not functioning on the night. Ditto some poles at the overhead bridge garden leading to Ketu bus stop. From Ketu to Ikorodu, it was a case of light here, darkness there, in the more than 30 minutes drive to the town. Countless street lights were not functioning. Reaching Ikorodu roundabout, a number of electric poles were either not switched on or were faulty. A ride through Beach Road junction to NBC road junction showed the state of facilities as not a single electric pole was working. Arriving Maryland at 10.12pm and headed towards Ikeja via Sheraton Hotel, at least six electric poles marred an otherwise glittering night. A walk from Ikeja overhead bridge to Oriyomi Street junction, and as far as the eyes could see, no electric poles were functioning on Oriyomi. The next day, a drive through Falomo, Awolowo Road, Ikoyi to Victoria Island and Lekki, showed they were not exempt from the street light puzzle. The many otherwise bright lights on the night notwithstanding, a number of electric poles stood out for their lack of light. But the situation at second to third roundabout area of Lekki was different as many poles on the stretch were not functioning. Returning from Lekki, the reporter found Apogbon and Iponri areas bereft of light. The situation at Iponri was unlike December 4, when it glittered with light and is more in tune with the situation along the Ikeja – Iyana Ipaja – Igando-Iyana-Oba route where the streetlights are consistently inconsistent in areas that they work. That’s the scenario that many streetlights in Lagos present at night. In terms of performance, there’s no consistency and uniformity. Amos, who runs a cab business in Lagos, told the magazine that “the street lights work in some areas and don’t work in some areas.” The magazine’s investigations show that many electric poles in the state, which include new and previously installed poles by the Fashola administration, don’t function well at night. Some of the bulbs are dead, some parts are missing, poles are unkempt, while some electric poles don’t function at all. As a result of the poor performance and state of facilities, many areas are poorly lit or not illuminated. It was also observed that there’s no specific time the lights are switched on. For instance, on October 16, as early as 5.26pm, some electric poles along the Berger- Ojodu expressway were already glowing. On October 8, at 6.15pm, four electric poles, two of which were opposite First Bank at Ogunnusi Road, had been switched on while those of the nearby pedestrian bridge were off. The Ojodu-Berger pedestrian bridge, from the days it was monitored, came up anytime from 6.30 – 7.00pm, while many elsewhere come up just about anytime at night. There’s no guarantee when that could be, or when they could go off. The current situation, for some residents, is at variance with the euphoria that greeted the introduction of the streetlights in the state. Speaking about the Lagos street light project in April 2016, Ambode said: “The Light Up Lagos initiative is an integral part of our administration’s programmes to put Lagos on the same pedestal and status as similar megalopolis in the world. This initiative is in line with our commitment to build a 24/7 economy that will create employment and wealth for our people. The Light Up Lagos project is also part of our security strategy to make our State competitive, safe and secure.” He added that significant progress has been recorded since the initiative commenced on 9th December 2015. “There has been an increase in commercial activity in the areas where we have installed street lights. Driving on major highways and streets in Ikeja, Alausa Central Business District, Third Mainland Bridge, Iyana Oworo/Berger axis amongst others have become more pleasurable as a result of the improved illumination,” the governor said. In a country long plagued by epileptic power supply, and where many residents across the country are more used to dark alleys and roads, an initiative like the light up Lagos is bound to lighten hearts but Lookman Oshodi, project director for Arctic Infrastructure, feels that street light as a concept ought not to call for any special celebration as it should be a part of road infrastructure. “It is good to have street lights to illuminate urban spaces and promote security resilience, but I do not think it is necessary to develop a project around street lighting. Doing such will continue to strengthen the appellation of our city as “City of Third World Country”. Street lighting is an integral part of road infrastructure delivery in any city; therefore it should not enjoy any special project delivery vehicle. However, years of inability to provide this crucial road equipment has made the launching of street lighting, a well celebrated project for the city of Lagos. The project is not totally different from any other public infrastructure project. Moreso, these are the roles for the local governments except for trunk A and B roads,” he said. Ayisire’s and Oshodi’s advice will in fact help in stemming theft of even the street light equipment which a staff of the Lagos State Electricity Board who asked that his identity be protected, complained about. It was part of his defence on the state of some of the streetlights that are either dead or post below average performance. Although the source declined to answer questions relating to contract and maintenance of the streetlights, he said that part of the problem the electricity board confronts is theft of electric equipment and the uncooperative attitude of some residents who fail to safeguard electric facilities in their domains. His response came as part of the magazine’s effort to unravel how the street light project is funded and operated. Sources told the magazine that most of the streetlights are powered by diesel generators and that the contracts relating to them are supervised by the Lagos State Electricity Board. As the budget document states, the agency responsible for the Lagos streetlight project is the Lagos State Electricity Board. But the general manager, Ibilola Kasunmu refused to respond to the magazine’s questions on the street light project. The magazine had first reached out to the ministry of energy and mineral resources in October for an interview in regard to the light up Lagos project. 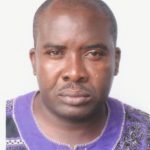 There, the reporter was referred to the office of the Lagos State Electricity Board near old secretariat by the PRO of the ministry of energy and mineral resources, Moses Ogunleye. Reaching the office of the electricity company, the reporter was asked to write a letter to the general manager, stating his request. This was done but there was no response from Kasunmu. A source in the agency told the magazine that the general manager refused to talk because of fear of the unknown. Umeh, the public affairs officer of Lagos State Electricity Board, on her part, referred the reporter to the ministry of energy and mineral resources, which she said is better positioned to provide answers to contract issues. Ogunleye, on his part, after failing to fix an appointment with Olawale Oluwo, Lagos commissioner for energy and mineral resources, invited the reporter to the 7th Annual LPG Conference and Exhibition holding at the Federal Palace Hotel, Lagos, on December 7, for the purpose of interviewing the commissioner who was billed to attend the event. Oluwo indeed attended but left shortly after making the opening speech without granting an interview. He told the reporter that he needed to leave for another appointment and would not be able to grant the interview at that point. At the LPG Conference and Exhibition, Oluwo told the gathering that Lagos is already implementing a power sector reform and that the state government is targeting a 3000 megawatts supply for the state. According to information on Lagos State’s website, Lagos, with a population of approximately 24, 821,418 inhabitants accounting for over 60% of Nigeria’s industrial and commercial activities, is responsible for 45% of national electricity consumption. But questions arise as to how contracts for the supply and maintenance of the electric poles and equipment and supply of diesel for the running of the generators that power the streetlights are awarded. According to the source, since Okonji’s sacking, there has been no significant improvement in the provision of streetlight in the state. He said that part of the reason the street light project is bogged by challenges such as erratic power supply and breakdown of facilities is because the process leading to the award of contract for the running and maintenance of the project, had been compromised as contracts relating to the street lights were awarded to cronies and influential politicians in the state. TELL learnt that the light up project was flagged off after some energy experts met and deliberated on modalities for its operation. Norbert Shialsuk, chief operating officer of Sublime Oil and Gas told the magazine that he was part of the committee on the light up project, and that it was meant to fill an existing gap based on prevailing realities. “Regarding the light of Lagos, there was a panel set up, which sat for months last year and they are still sitting and that committee was set up by the ministry of energy comprising of GE, Siemens and other stakeholders in the industry. I was part of the team,” said Shialsuk. He noted, however, that maintenance is key to sustaining such project. Shialsuk advised that one of the ways the government can overcome the challenges of maintenance is by engaging the private sector. “Probably there are one or two areas of improvement in terms of operations and maintenance but that can be dealt with by privatizing. So basically, if you are able to have private contractors manage those street lights, then you will be able to ensure that any repairs are met at any point in time,” he said. With regards to management of the street lights, Oshodi feels the local government can do it: “One major advice is to build the capacity of local governments to be able to deliver on this crucial public infrastructure. This is ideal for the future of Lagos. I do not see the Lagos State Government giving due attention to this facility on long term because of capacity.” Even at that, he advocates adherence to best practices by people or agency saddled with the responsibility. “The procurement processes for maintaining the street lights should not be enmeshed on patronage system, rather the professionals who are vast in the mechanism of public infrastructure management should be engaged and encouraged to take up the operations, management, and maintenance of the infrastructure,” said Oshodi, further noting that the focus should be more on the technical capacity of the bidding agencies. “What level of expertise do they have in development, operations, and management of public infrastructure? What model are they proposing to deliver and operate the lighting equipment? Do they have specific experience in a large city or developing country and most importantly, what is their business integrity background? These are some of the key criteria to be considered,” he noted. Even then, Oshodi feels the light up project, as in Fashola’s time, is energy consuming. Oluwafemi also wants the state government to begin to look at alternative sources of energy for the street light project. “We’ve seen that they use generators to power them but in terms of energy conservation and efficiency and all that, you would want to use renewable energy that we have in abundance like solar energy. That will help. If we can have more of these street lights powered by solar energy, it will help,” he said, pointing out that there were attempts in the past to adopt solar energy but it flopped. “We know that there had been attempts to install solar energy as sources of the street light but most times we see that they don’t last long probably because of quality. So, I think in the aspect of quality, the government needs to do more and improve on practices in terms of quality assurance when these contracts are signed with individuals. I think that quality aspect needs to be sorted out so that these projects can stand the test of time and last longer. Solar is in abundance in Nigeria.” He advised that a policy framework be initiated by government to adopt solar energy as energy source.